Beets grow from seeds, and need water and sunlight to grow. 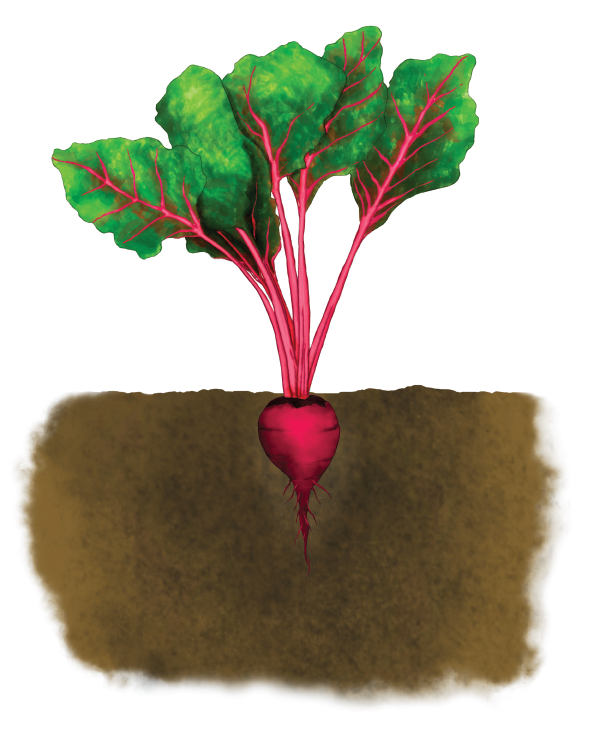 Beets are root vegetables that grow under the ground. Beet leaves (called “beet greens”) grow above the ground. We can eat beet roots and beet greens. When beets are ready to eat, pull them from the soil. What other vegetables grow in the soil, under the ground?